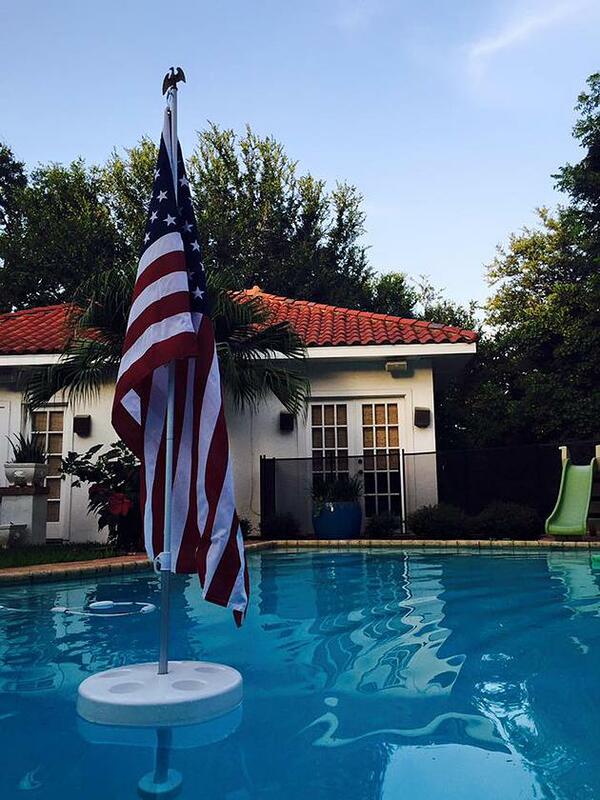 July 6, 2015 Jeremy & Erica We hope you had a safe and relaxing Independence Day! We spent ours in Tyler, Texas close to family and close to a Pool Buoy. We're coming back from vacation to hit it hard this July, as we have a lot of exciting things under way. We have a major publication running a piece on the Pool Buoy in their August issue, hitting stands July 17th. (We'll post the details once they're available). Last week, we also had a phone call with a major retailer, specializing in domestic merchandise, and scheduled a few exciting business trips in the next coming weeks to spread Pool Buoy love with major industry players. We also announced our partnerships with POOLCORP, Essentials, and Carecraft. Just when we thought it couldn't get better than that, another major pool industry player reached out to us to get the ball rolling nationally for 2016. Needless to say, we had a great holiday, and hope you did too. Keep checking back with us for updates as we float through Summer 2015 and into 2016!